Support Independent Books. I can’t stress this enough. 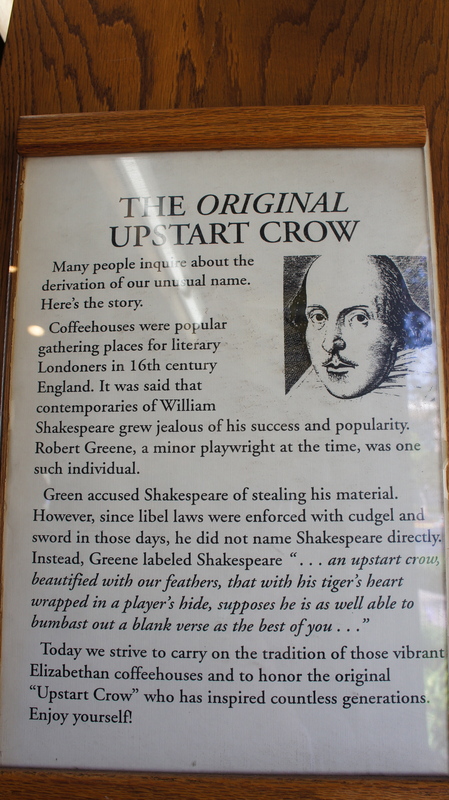 The Upstart Crow got it’s name from Shakespeare. 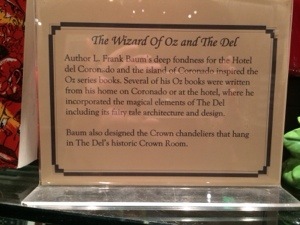 Here is the story of the name of one of the oldest bookstores in San Diego. 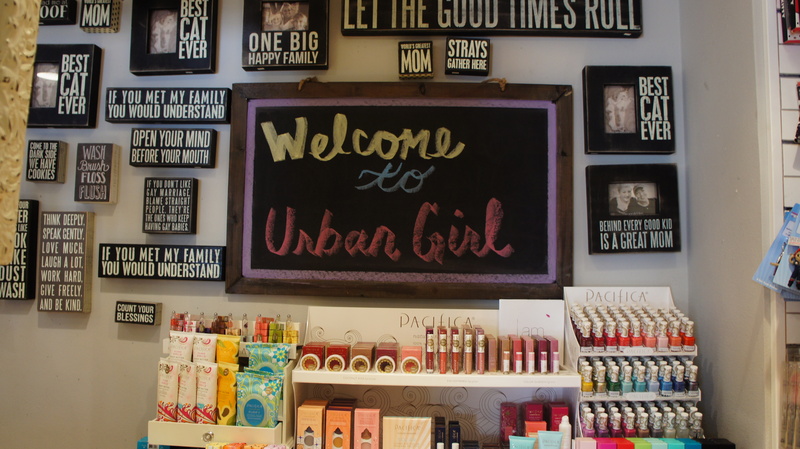 Urban Girl Accessories has all the cool things for your home and accessories to accessorize the hip stylish gal. Think shoes, shirts, bracelets. I totally wanted everything. Edgewater Grill is literally on the edge of the water. 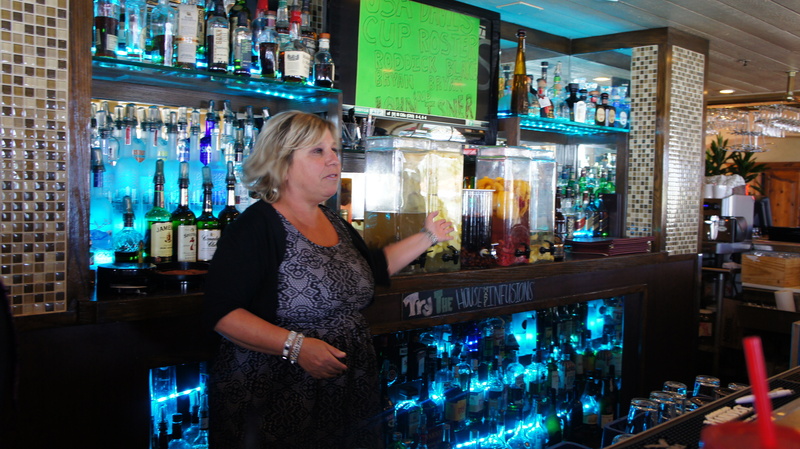 Did I mention they infuse their own alcohol? Yeah, it is that cool. 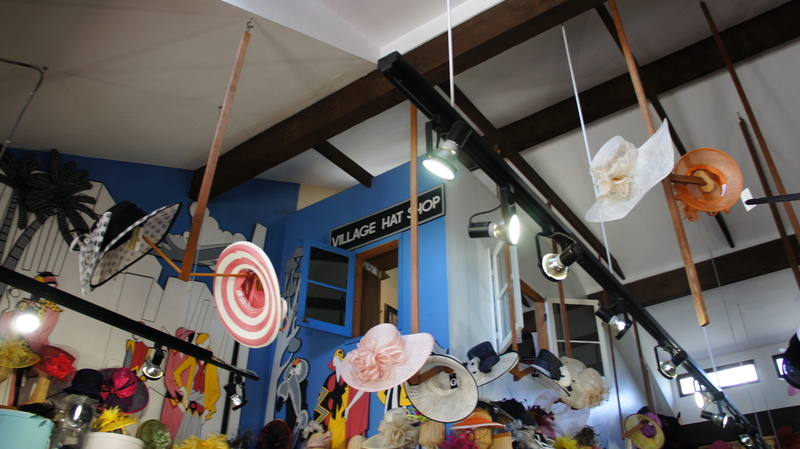 The Village Hat shop has every kind of hat imaginable. Steampunk styles, Panama hats, Baseball Caps, hats for the sun, hats for the snow, even hats to watch horses run. If you like hats you’ll like it here. 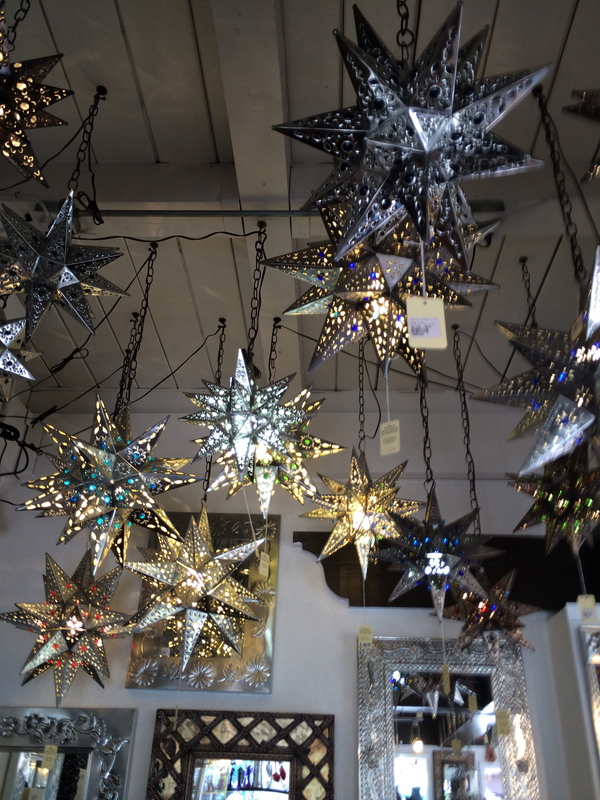 The Tinsmith is a great little place to get any home decoration especially if you like metal work. They have a good selection of Mexican art and Dia de los Muertos items. 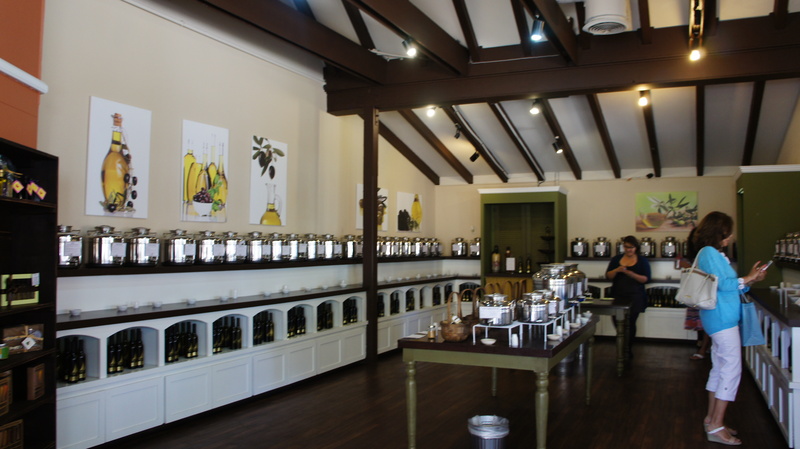 You can taste to your hearts desire at the Seaport Oil, Vinegar and Wine shop. So many combinations. 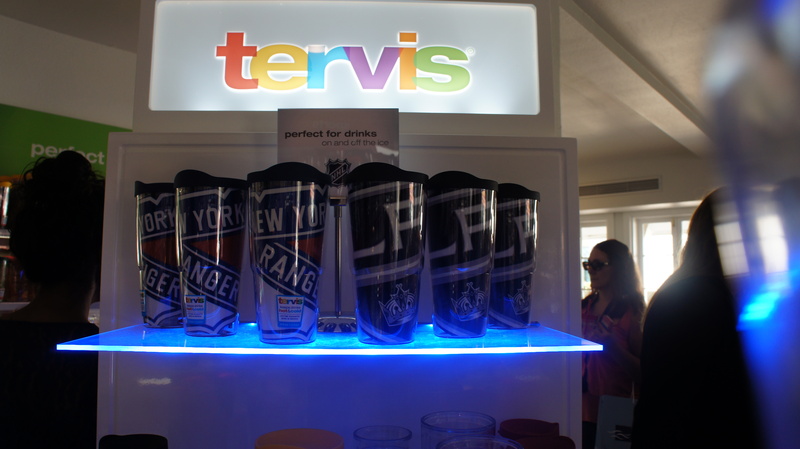 Visited the Tervis store. Tervis have the best water bottles ever. You can personalize them and they are made in the USA. 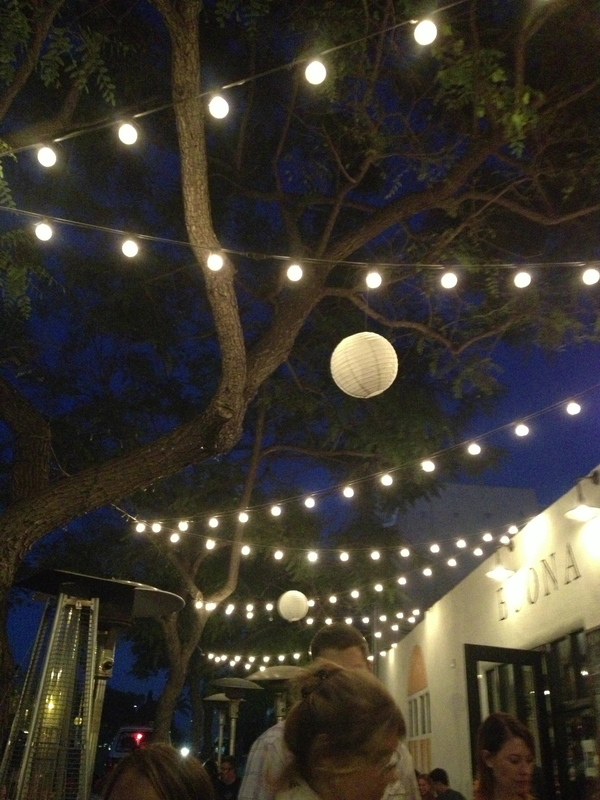 The Magic of Coronado in all of its glory. I call this place my home away from home. So close yet seems so far away, no wonder there is such a rich history beyond the beach. I am sure the stories on this island can be written in volumes, but from my experience – the history is only hearsay. I once overheard a convo at the Spreckles Candy shop from the shop lady and a man claiming to be a descendent of the Spreckles Family. He was in town for a wedding. I couldn’t help but eavesdrop From what I recall, he seemed legit. He was talking about how the family bought much of the island. The Spreckles Family owned much of Coronado in the early 1900’s. The irony of this, the man was tracking lots of sand and dripping water in the store. Though he seemed polished and well spoken, I found him to be a bit awkward. I later looked up the Spreckles mansion that he was speaking of and found that this place is magical and haunted with secrets. Inside the Hotel Del Coronado a mix of people are walking around tourists, locals and hotel guests alike. Of course, the only way you can tell is…well you can’t. The hotel seeps with history from the Wizard of Oz author Frank L. Baum’s stamp on the hotel to movie making magic on the grounds of Some Like it Hot starring Marilyn Monroe. Oh yeah, and the couple of haunted rooms. I still love this hotel and would stay here in a heartbeat.The store Est. 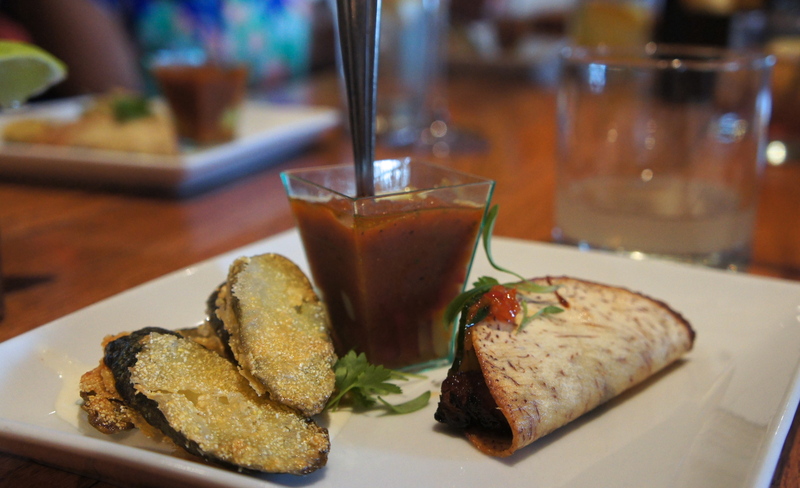 1888 has all the gifts and memorabilia that makes this hotel as mainstay on the island. 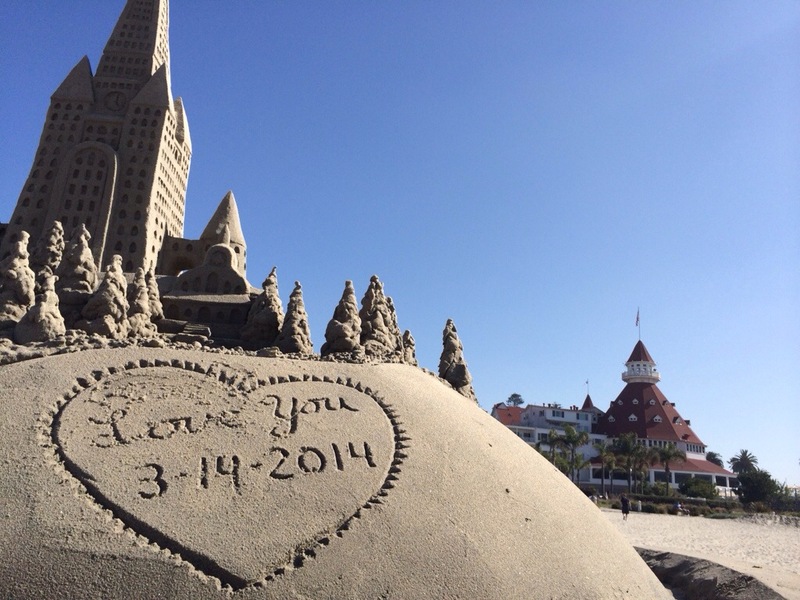 If you go, you may find a custom sand castle or two on the beach. If you love shells like I do, you’ll find many along the sea wall of rocks right behind the hotel. 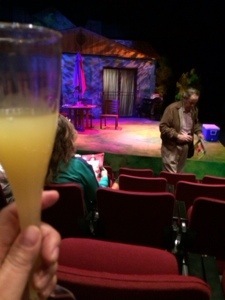 Mimosa before the show. Cheers! Just coming back from an adventure at the Oscars (another blog post altogether), I can see how if you love acting you want to do your best. The best go on to the award show circuits. They prepare and practice over and over again until finally it’s show time. One of the best places to see original stories is the San Diego Rep. It was Detroit for 2 hours in San Diego. The play was called Detroit though there was no mention of where they were. The play could be called America, because this could happen anywhere. The premise of this story is centered around new neighbors from different socio-economic backgrounds finding things out about each other, in the weirdest ways possible. Twists and turns and lots of BBQs, this is all I will say. There were fun moments and then there were WTF moments. The first half definitely was different from the second half, of course there is a twist. There is always a dramatic twist, that is the formula of a good story. The thought of the purpose of life and work crossed my mind after watching Detroit. It is something to see an actor act, imaging all the work to the preparation; all those lines they memorize, all the practice, and all the sweat and tears. The reward of fulfilling the audience’s expectations of good story told, the satisfaction of giving them your best work and the appreciation paid in applause. Rinse and repeat. That is why the mission of the REP is to provide intimate, exotic, provocative theatre to feed the curious soul. This show is good for those 16 and up. There is one more show left for this season at the Rep. Red coming March 28-April 27th. Then on to their 39th Season TBA. If you have seen a San Diego REP show, let me know in the comments. Dates: Feb. 22 to March 16, 2014 (Opening: Friday, Feb. 28, 2014) Performances are Tuesdays at 7 p.m., Wednesdays at 7 p.m., Thursdays at 8 p.m., Fridays at 8 p.m., and Saturdays at 2 p.m. and 8 p.m. and Sundays at 2 p.m. and 7 p.m.
One of my new favorite shopping centers in San Diego is The Headquarters located on Harbor Blvd. near Seaport Village. This center has several colorful fine restaurants, boutique shopping, artistic photography, artesian cheese and chocolate. 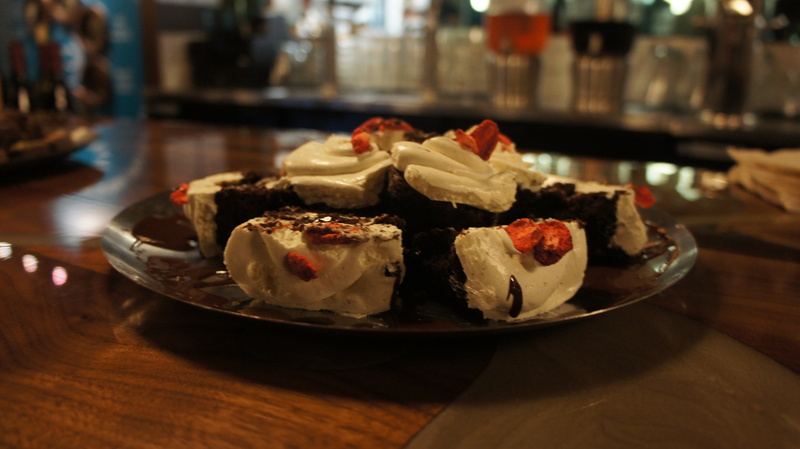 It’s a match made in heaven for those who like the good things in life. The Headquarters San Diego is located on Harbor Blvd. right by Seaport Village. 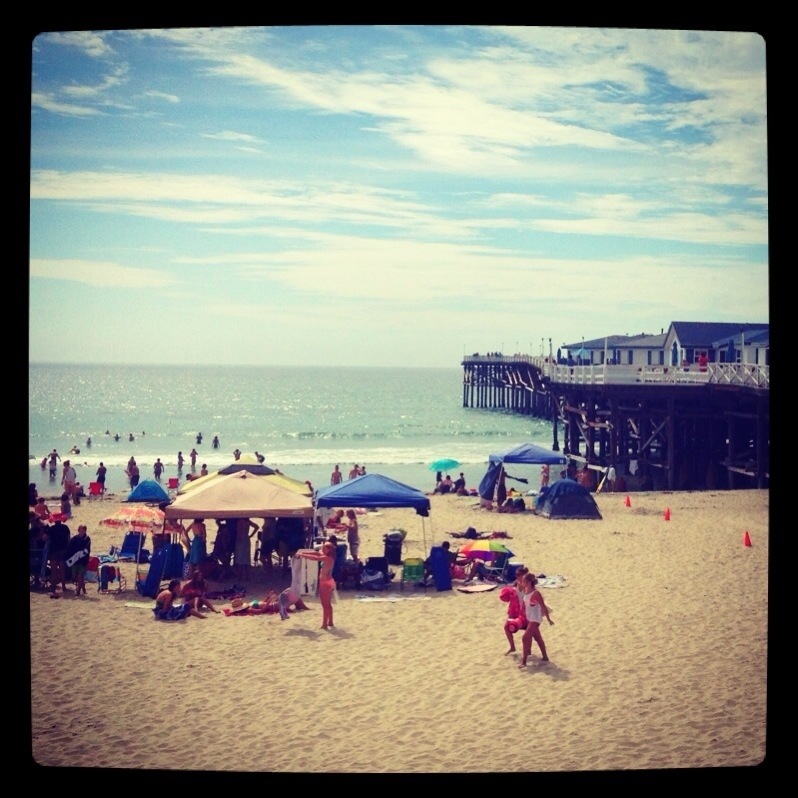 The location is enjoyable for tourists and locals alike. What makes this place unique is that the shopping center used to be the Old Police Headquarters, a history that goes back to the late 1930’s. The unique architecture is primarily due to the history behind the buildings. For instance, Puesto, is located where the old file library and jail cell block used to be and PreFab, the new co-working/art/popup space used to be the old crime lab and courtroom. There is a presence of nostalgia that you can feel when you walk around of these buildings. If you do visit, let me know. I’d love to hear from you. 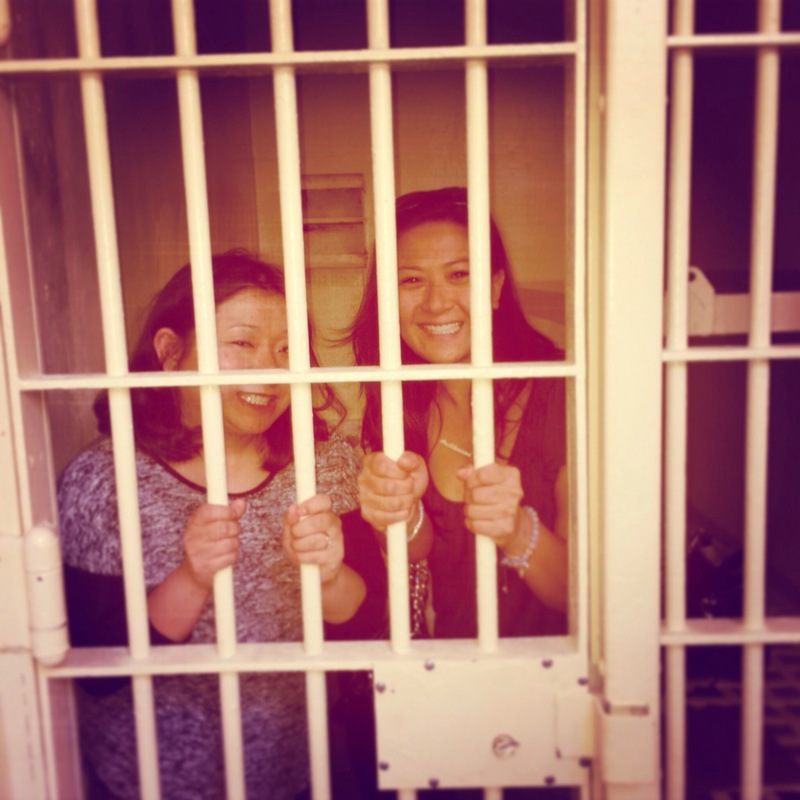 Make sure you: Visit the old jail cells and view museum relics ranging from historic badges to old mug shot photos located near the main bathrooms. 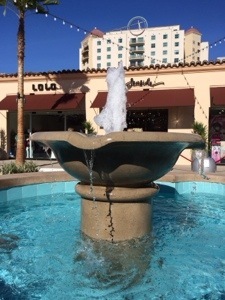 Stores and Restaurants not to miss: Aaron Chang Ocean Art Gallery, Kitson, lolo, Madison, Seasons 52, Puesto, Seaside Home, Venissimo Cheese, Verde, Simply Local and Dalmann Fine Chocolate Boutique. The Headquarters is located at 849 West Harbor Blvd. See website for more details on hours and parking. The latest IMAX movie is out at the Reuben H. Fleet Science Center, The movie was filmed in the tropical islands of remote West Papua, where life flourishes above and below the sea. Underwater filming was done with big cameras (IMAX 15perf/65mm) and artificial lights to get the realism of the sea- I learned that the colors underwater are mainly blues and greens. The story features Jawi, a young island boy, and his under and on water adventures learning about the environment and sea life on the “floating schoolhouse” the Kalabia. I attended the sneak preview (the film opened Feb. 14). At times while watching the movie, I found myself dreaming I was under water in my own special aquarium. The filmmakers were available after the movie for a special Q&A. The filmmaker’s young grandkids even asked questions, which I found adorable. If you love nature-based IMAX movies like I do and/or have children 5 and over, I recommend this movie. Where else will you get to see unique species of sea horses and experience a swim with a whale shark? I hear it’s a 65-hour trip. An IMAX Entertainment and MacGillivray Freeman Films presentation, Journey to the South Pacific is directed by two-time Academy Award-nominated filmmaker Greg MacGillivray (The Living Sea, Dolphins, Everest) and Stephen Judson (Everest, The Alps), and produced by Shaun MacGillivray (To The Arctic, Grand Canyon Adventure) and Mark Krenzien (Adventures in Wild California, Arabia). Filmed with IMAX 15perf/65mm film cameras, Journey to the South Pacific is written by Stephen Judson (Everest, To The Arctic) with a musical score by Steve Wood. The film is narrated by Cate Blanchett. An ardent ocean conservationist, MacGillivray and his wife Barbara recently founded the One World One Ocean Foundation, a non‐profit public charity devoted to ocean science education through giant‐screen films and companion programming. Journey to the South Pacific is the second film that MacGillivray Freeman Films has produced in association with the One World One Ocean Foundation (www.oneworldoneocean.org), following To The Arctic. I could cry, but instead I’m not. I am finding that businesses love to give me free stuff on my birthday. I usually go to my local yogurt store and show them my i.d. and they give me a free yogurt. I could go to Denny’s and get my free birthday meal, but that’s not how I roll. 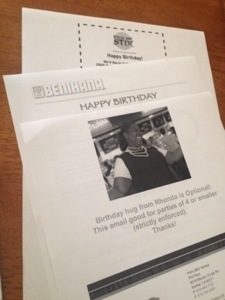 Benihana is giving me $30 to have a meal on them, I am getting free cream cheese wontons from Pick up Stix and I get to cut the line at Phil’s BBQ all because I joined their e-clubs. These are a few of the things that I possibly will take advantage of because they are not today but the week or month of the day. I can’t take my free Catalina Island Birthday Trip because I have to work today and they are pretty strict about taking the trip on the actual day. Bummer. Things I will do today: I will take advantage of my free eyebrow shaping at the Benefit Brow Bar, because who doesn’t want pretty brows? What awesome gift have you gotten from a business on your birthday? Do tell. Pearl Hotel Birthday Dinner: You have to spend $50 w/ your friends, but you get a free meal on your birthday. I would do this but planning is key and I didn’t do that so I guess you won’t see me there. Aveda Birthday Gift: Sign up for their newsletter and get a free birthday gift from the Aveda store. I think I signed up too late, but maybe next year. Check out my cool birthday party a few years ago at Lucha Libre. I know it is pretty corny but what can I say, I couldn’t stay away from the gold booth. Have you ever wanted to actually sleep over the ocean? I have. I have been walking past Crystal Pier for years but never actually inquired about sleeping on the ocean, so last weekend I did. I asked the lady for a brochure and she said that they book up 11 months in advance for Summer and 4-5 months in advance in the off-season. Looking at the prices, I wasn’t too shocked. I guess you can stay in a Marriott or a Hyatt for the cost. There is no resort, just the waves rocking you to sleep. 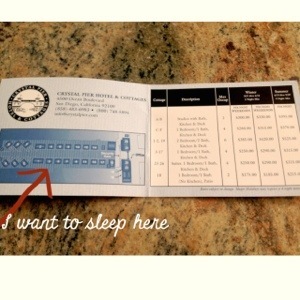 Someday, I’ll sleep over the ocean, but for now I have the brochure and the beach at my fingertips. It is not every day I meet yarn bombers. But luckily, I met one last week, her name Marcy Kraft. Like her last name, she is very crafty. 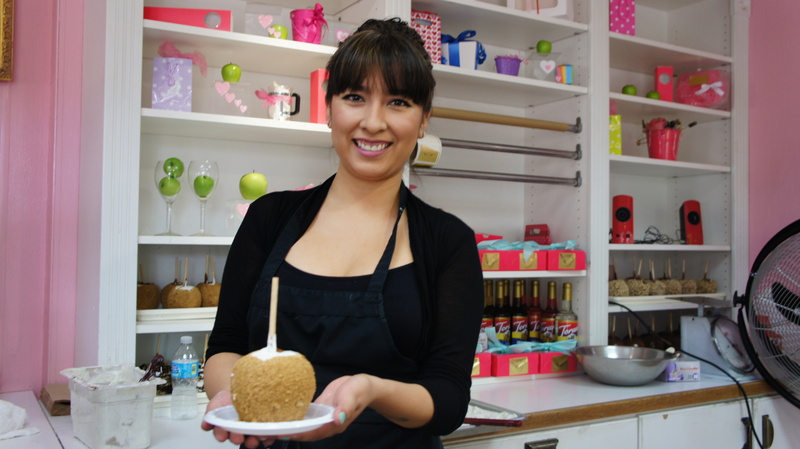 She started this “hobby” as a stay-at-home-mom and it blossomed from there. She was part of the team that created the stop sign yarn bomb flowers in Clairemont. 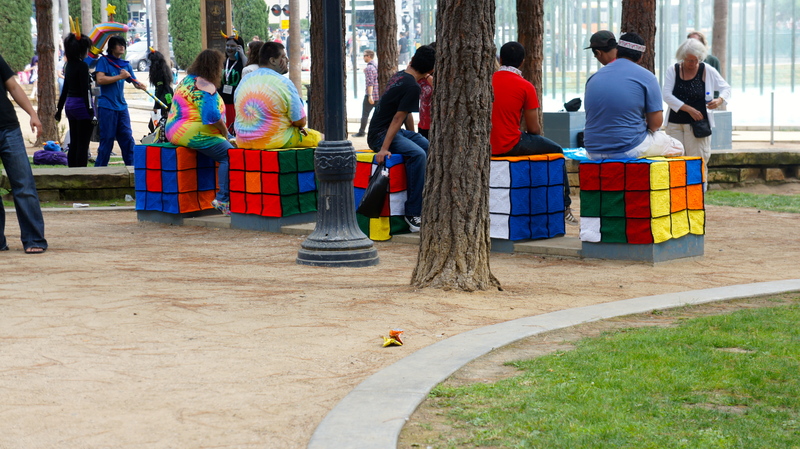 Since then she was commissioned to do an installation in the Westfield Mall in Mission Valley. It is obvious to me that Marcy’s mission is to make art. Marcy with the help of 35 other contributors spruced up the Children’s Park in San Diego with approx. 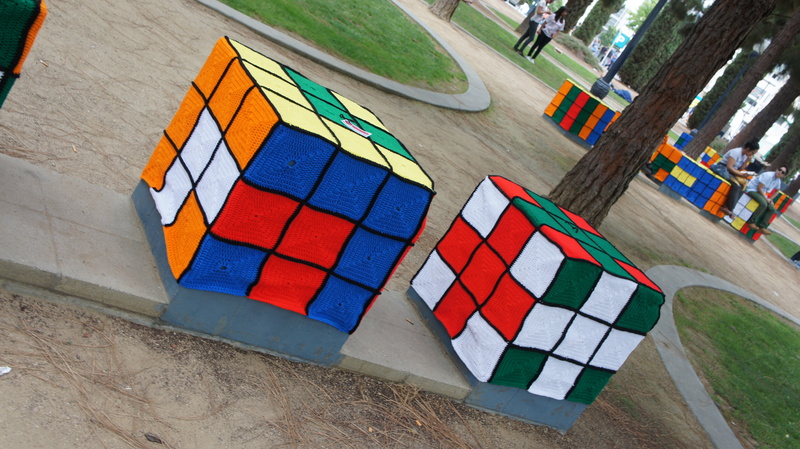 30 crocheted Rubik’s Cube facades just for Comic-Con. She did this project in three months. 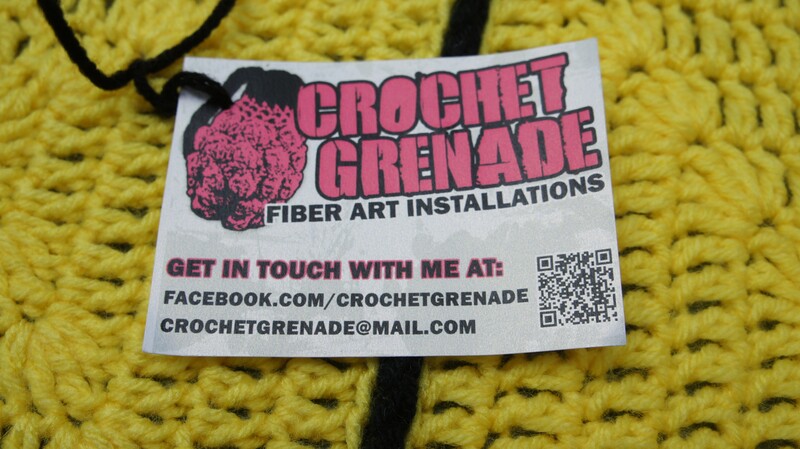 Hard to believe that Marcy started crocheting only a couple of years ago and it has blossomed into art commissions and making San Diego a better place. Follow her on Facebook to see more about her installations and her other work.